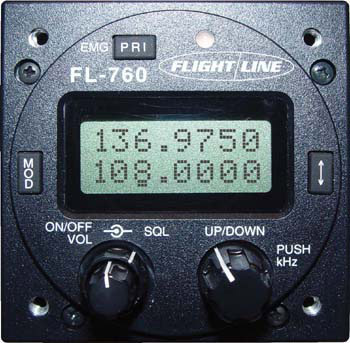 This page includes a comparison table with panel mounted aviation radios. For more information on a particular radio click the name of the radio. I have all these radios and many accessories in stock. I work very hard to provide detailed product comparisons for soaring pilots. I hope you will find this web site useful. I also offer excellent support to customers who buy from me. The best way to thank me for the services I offer is to help support my business by buying from me - and please tell your friends about my company. I've done my best to get complete and accurate data, but some of it is difficult to find. If you see any errors or have any suggestions for the table below please let me know. My goal is to make the table as accurate and complete as possible. This is a great radio with high quality and great features. The dual monitor mode that allows scanning of two different channels is a great feature. It has low power usage and operates down to only 9V. 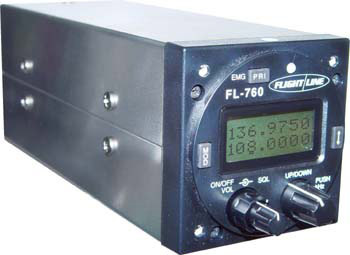 The RCU6201 remote head can be connected to it for use in 2-seat aircraft. This is a great radio with high quality and great features. The dual monitor mode that allows scanning of two different channels is a great feature. It has low power usage and operates down to only 9V. 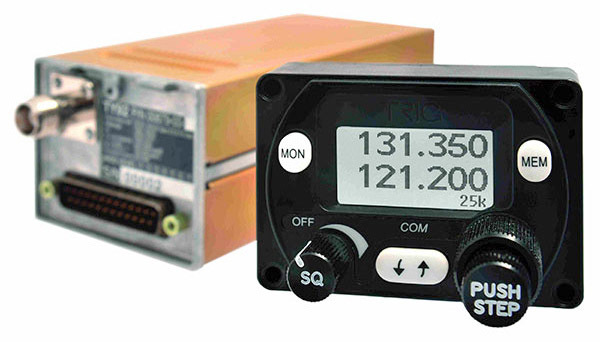 The RCU6201 remote head can be connected to it for use in 2-seat aircraft. Extremely reliable radio with extremely low current drain. Large text display for easy in-flight reading. Extremely clear sound from standard speaker. An interesting low cost option for experimental airplanes. I like the simple operation and the cost. I'm not impressed by the high standby current draw or minimum voltage of 11V, or the fact that it is Non-TSO. But you just can't argue with the price! I have received positive feedback from several customers in regard to this radio. A very nice radio that looks great next to a Trig TT21 or TT22 transponder in the panel. Nice, large display of main and standby frequencies. The dual monitor mode that allows scanning of two different channels is a great feature. It operates down to only 8V. 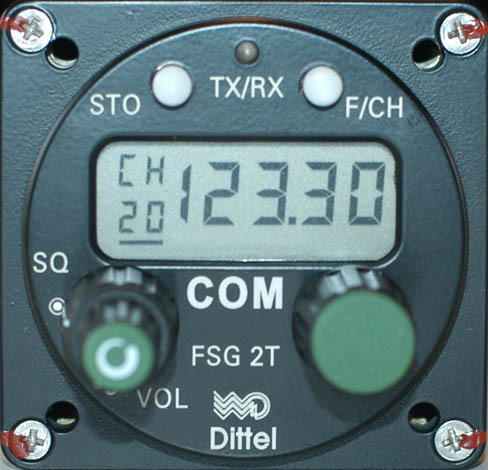 It consists of 2 components: the display head and the main transmitter box. 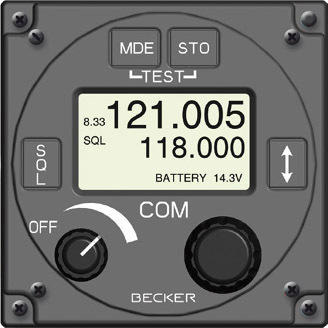 That make it easy to fit the display into any panel, but you will need to mount the main transmitter box separately. Also, a wiring harness is needed to connect the display to the radio main unit. I offer a nice Goddard wiring harness.